I am not a huge gamer. I will button-mash a first-person-shooter game with my husband now and again, but I don’t spend much time on it. There are, however, a handful of games that I love. They all have the same thing in common: solving puzzles. The Legend of Zelda is one of the greatest (and most fun) puzzle-solving games ever made (at least in my humble opinion)! 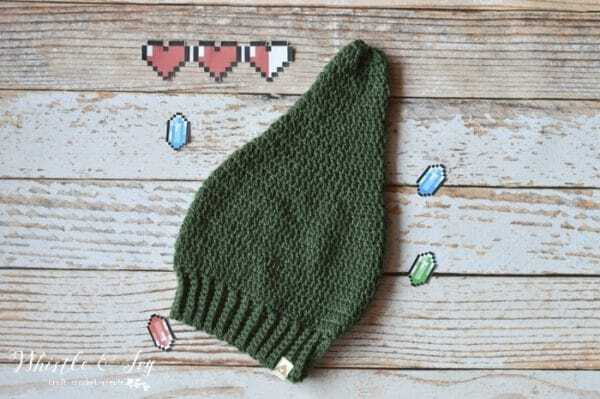 So when my sister-in-law commissioned me to make a crochet Link hat for each of her boys, I was excited for the opportunity to make a pattern dedicated to the greatest video game hero EVER: Link. Ribbed Band: Beginning ch does not count. Your band should be 12.5″, un-stretched, 18″ stretched. This band is very stretchy. Fold the band in half lengthwise and sl st the two ends together, forming a band. Hat: Beginning ch 2 does not count. 1. Sc around the top of the hat, as evenly as possible, achieving 65 sts in the row. It is best achieved by working an increase every other stitch, especially if you are working 1 st per each sc row on the band. 9. Ch 2. Dc in same st. Dc 3. Dc2tog. *Dc 4. Dc2tog* work 9 times. Dc 3. Dc2tog. Join. (54 sts). 20. Ch 2. Dc2tog 11 times. Dc in last st. Join. (12 sts). Break yarn and leave a tail. Turn the hat inside-out. Thread the tail on your darning needle and stitch the hole close in a star pattern. Tie off firmly. You band should measures 15.5″ unstretched, 20″ stretched. This band is very stretchy. Fold the band in half and sl st ends together, forming a band. Turn band so the seam is on the inside and begin working the head body. 1. Sc around the top of the hat, as evenly as possible, achieving 72 sts in the row. It is best achieved by working an increase every 3-4 sts, especially if you are working 1 st per each sc row on the band. 20. – 21. Ch 2. Dc in same st. Dc in each st around. (24 sts). 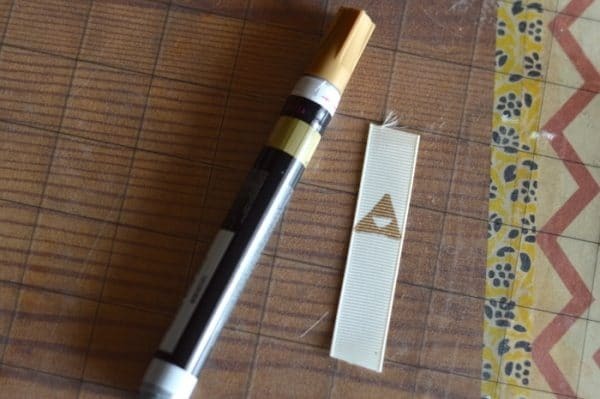 The small Tri-Force tag is very simple. To make it, simply draw the design on a piece of cream-colored ribbon with a gold paint marker. It took me a few tries to get it to look right! 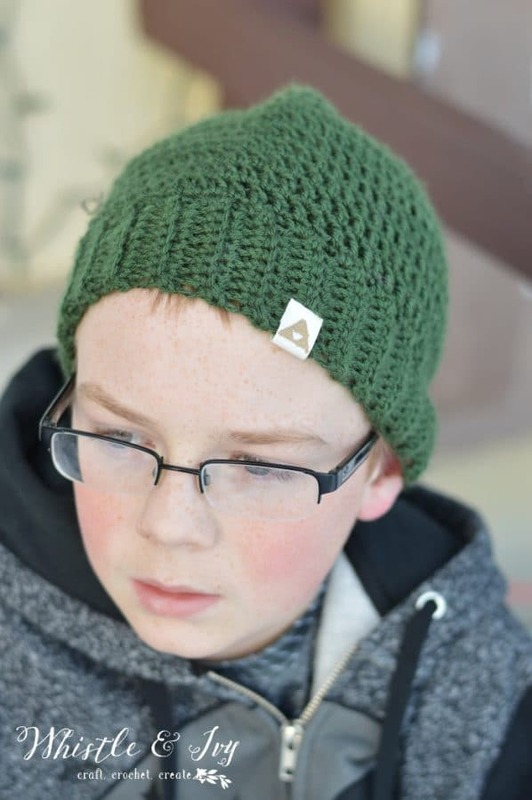 Then, machine or hand-sew the tag onto your hat, taking care to fold under the raw edge. I only stitched the top and left the folded bottom part un-sewn. Enjoy your weekend! Any gaming on your agenda? 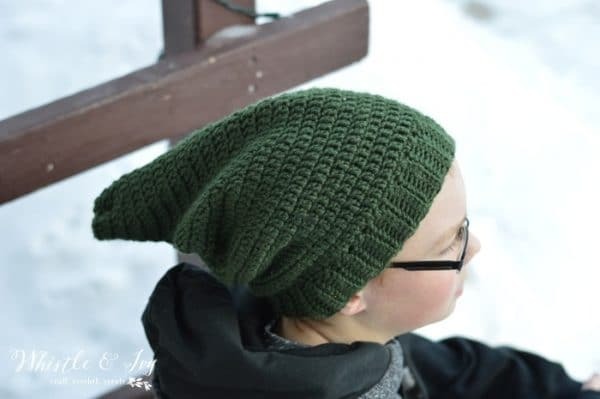 Like this crochet Link hat? Subscribe! Can I get clarification on what it means that you will ch 2 then dc in the same stitch? It means you will work your first dc in the same st that the Ch 2 are coming up from. The ch 2 does not count as the first st. I think a smaller hook would still be very large. 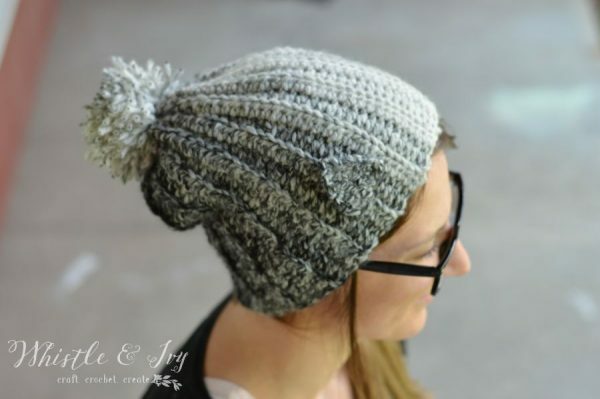 You can make the ribbed band about 12″ long and adjust the rest of the pattern accordingly. What size is the finished product? 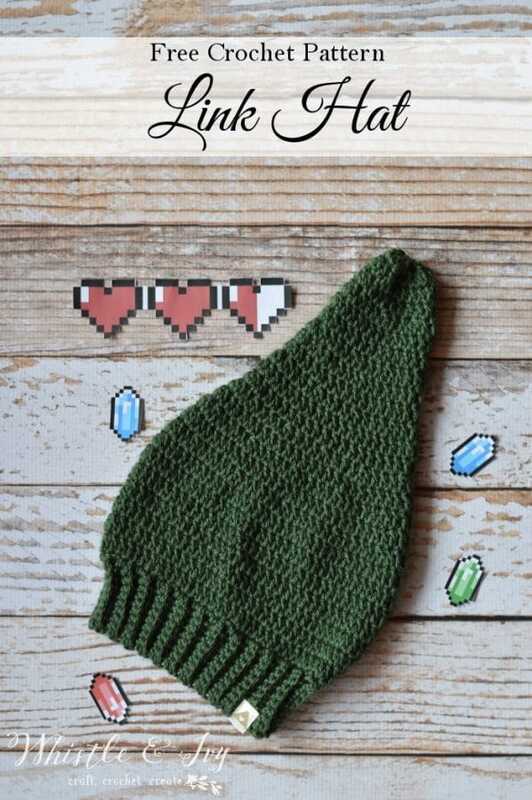 I want to make one for my husband and he would need an adult extra large. The adult is stretchy and fits about 22″ give or take. Love it! 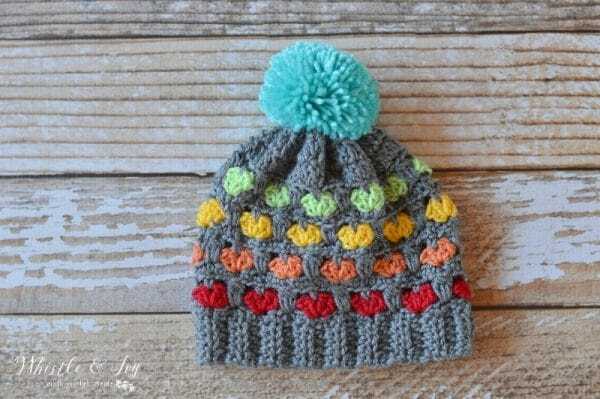 Thanks for sharing the pattern and how to make the tag. I’ve been wanting to add tags to some of my projects but haven’t been sure what works best. Thank you! Yes, the ribbon works really well. Hi! My name is Eetai. My friend Mrs. Su asking for knitting hat. 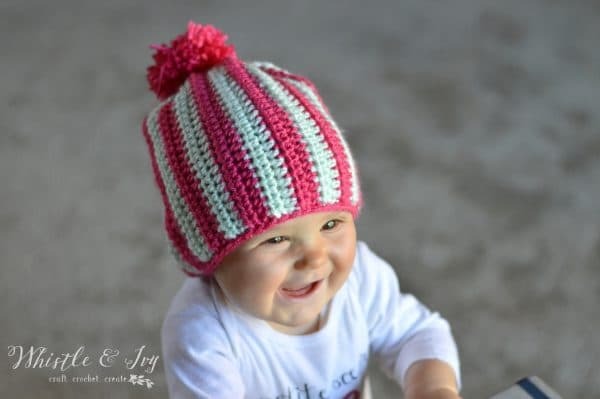 Would you please provide free pattern for knitting hat 👒 for women.